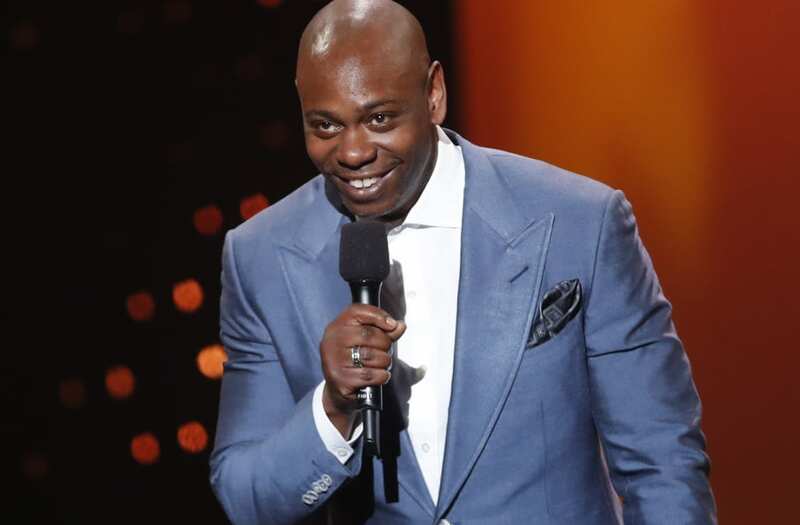 Dave Chappelle has certainly never shied away from ruffling feathers. In one of his new Netflix stand-up specials, the comedian tackles the sexual harassment and assault allegations that have consumed Hollywood in recent months. After mocking alleged predators Harvey Weinstein and Kevin Spacey, he took a different approach on fellow comic Louis C.K., who admitted to repeatedly masturbating in front of unwitting women. (EXCLUSIVE, Premium Rates Apply) ***EXCLUSIVE*** Comedian/Actor Dave Chappelle poses as he visits backstage at The New Hit Musical 'Passing Strange' at The Belasco Theater on March 1, 2008 in New York City. Noting that Martin Luther King probably wouldn’t have given up his “dream” if someone masturbated in front of him, he continued, "Show business is just harder than that. Them women … they sound weak. I know that sounds f–ked up, I’m not supposed to say that, but one of these ladies was like, ‘Louis C.K. was masturbating while I was on the phone with him.’ B-tch, you don’t know how to hang up a phone? How the f–k are you going to survive in show business if this is an actual obstacle to your dreams?" Suggesting that the backlash against C.K. may have been an overreaction, he mused, "They took everything from Louis. It might be disproportionate, I can't tell, I can't tell. This is like where it's hard to be a man." Chappelle filmed “Dave Chappelle: The Bird Revelation” in November.